When I was a student at the State University, I qualified for Honors College. Membership in the Honors College had three distinct advantages. We could register for our classes before all other undergrads, except for elite athletes. In those days, registration meant standing in long lines to get a Key Card (an ancient computer punch card). By going first, we were able to get the classes we wanted and stand in fewer lines. The advisers for Honors College Students were full professors with high status in their departments. Honors College students were allowed to take Honors Classes, taught by the best professors on campus in small classes. My non-honors trigonometry class had 300 students; my honors psychology class on special topics had 30. A class with 30 students was a rarity on a campus with over 40,000 undergrads. During my junior year, I took an honors humanities class, which was limited to 12 students. 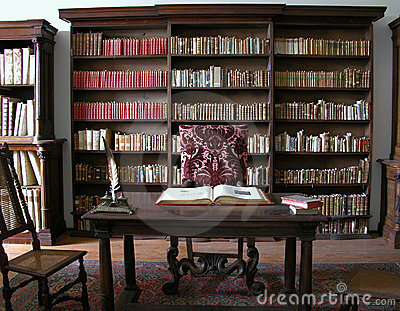 On the first day, we assembled in an ornately decorated conference room, lined with book cases in one of the oldest buildings on campus. Our professor was late. At the moment we could have left the class without incurring an absence, Professor B. limped in leaning heavily on his cane. He was small in stature and his limbs were gnarled by his condition. But his mind was in no way impaired; intellectually, that is. From the beginning, he seemed to have an ax to grind. His lectures were very good. I enjoyed them. But I hoped and prayed that I would not have to answer any questions in class. Those unfortunates who were chosen to answer a question or dared venture an opinion were cut down. He seemed to delight in showing us that we were not so special just because we were honors students in an honors class. I tried to talk as little as possible, even though participation in discussion was part of our grade. The other part of our grade was based on two papers, which we were to present out loud to the class. After the presentation, our papers would be discussed in depth by the professor and the class. I was assigned one of the later dates for my presentation. The papers were due on the date of presentation. One by one, after the students presented their papers, they were verbally assaulted by Professor B. He ripped their ideas, their thought processes, their research into shreds. He seemed to delight in humiliating us. Some students left the class on the day of their presentations in tears. I was terrified. We all were. My terror drove me to spend long, sometimes sleepless nights, researching and writing my paper. My topic was deeply steeped in the disciplines of my major, which at the time was linguistics. The paper was about poverty in the south and the dialect of Black Standard English. (That was what it was called in the early 80s). On my presentation morning, I read my paper out loud in my high thin voice. When I finished reading, the silence in the room was roaring in my ears. After a few minutes, Professor B said, “Good.” I think he was surprised, shocked. He explained why this was the type of presentation he wanted from us. Then he tried to ask me questions about my thought processes, my research, and conclusions. And this is where I disappointed him. I was unable to answer any questions. I too exhausted physically and mentally to respond in a coherent manner. I had left everything on the field, so to speak. The class stumbled on to the end. Only two people dropped out. I got a decent grade in the class, not the highest. I may be wrong, but at the time I felt that Professor B. treated us with such vitriolic scorn in part because of the bitterness in his own soul. He hated what life had handed to him, and he took it out on us. It was pay back. This is one of the stories from my life that I have used to teach my kids as they were growing up that having a disability does not give anyone the right to treat others badly. Great post! Thank you for the reminder to not become bitter because of the troubles of life. We all have them, even people who seem to have it easy. I loved reading this article.. I’m disabled myself and no it doesn’t and shouldn’t give us the right to treat “able-bodied” persons badly.. Nobody’s life is perfect.. Glad you survived his class! I remember being surprised at the time that more people didn’t drop the class. This was over 30 years ago, but I remember it so clearly. Thank you for your kind words.